September 16, 2018 - Mennonite Peacemakers is sponsoring a special evening on peacemaking on the Korean Peninsula with Hyun and Sue Hur. Hyun and Sue live in Southern California and are the founders of ReconciliAsian. ReconciliaAsian is a peace center that equips leaders in Korean and Asian-American communities and churches to serve in ways that promote unity, justice and peace towards reconciliation. 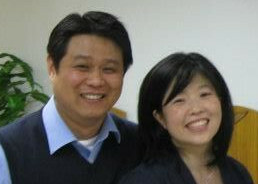 Hyun and Sue are passionate Anabaptist Christians. Hyun has made several peacebuilding trips to North Korea while Sue is now a denominational minister for Mennonite Church USA. They will be speaking on Sunday evening, September 16, 2018 at 6:00 p.m. in the BC Lounge on the campus of Fresno Pacific University Biblical Seminary on the topic "Ordinary Peacemakers in God's Ministry of Reconciliation on the Korean Peninsula." Hyun and Sue will be speaking on Friday evening, September 14 at the Reedley Peace Center (located at First Mennonite Church in Reedley) and will be preaching at Mennonite Community Church, 5015 E. Olive Ave., Fresno, on Sunday morning the 16th at 10:45. 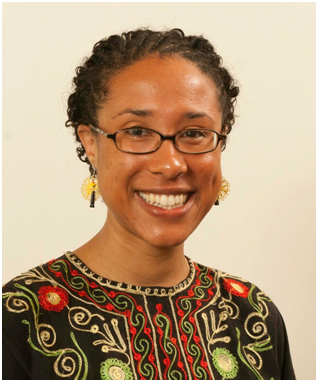 Sarah Thompson, the executive director of Christian Peacemaker Teams, will be speaking on the Middle East and CPT involvement at Mennonite Community Church on Sunday evening, August 17, 2014 at 6 P.M. This Mennonite Peacemaker event provides an excellent opportunity to learn more about the complicated dynamics of the region and what a Christian peace witness can look like "on the ground" in the middle of strife and conflict. Mennonite Community Church is located at the northeast corner of Willow and Olive in Fresno. To participate in the ad email the address at the end of the letter. 9/11, Virginia Tech, Aurora, Newtown, Boston - these are names that sear our memories. Shootings, bombings and other random mass killings have troubled our psyches with apprehension, fear and visions of revenge. Our country has not been spared the level of pain that other parts of the world have been suffering for a long time. Reports from Afghanistan, Pakistan, and the Middle East speak of the psychological terror that our U.S. drones cause on all the peoples living below. Our nation's ever-increasing use of lethal drones to attack and kill people whom our government defines as enemy terrorists is a critical reason why hatred towards Americans is increasing. Farmers are kept from caring for their crops and children are kept from attending school or running errands for fear of being hit by drone missiles. Can we begin to identify with the acute insecurity that our drones impose upon these human beings, our world neighbors, who live in fear of death falling from the sky? Many of the victims of this deadly weapon are not unlike the schoolchildren in Newtown or the crowd-participants at the Boston Marathon. The killing of human life and the anguish and anger caused are the same! We believe there is a better way. Our God is a God of Life and Peace. We are people who strive to follow and live out the teachings of Jesus Christ. In response to the violence that has invaded our world we embrace the teachings of Jesus, to "love your enemies." Instead of more powerful weapons or more deadly methods to destroy the enemy, we strongly urge our nation's citizens to reach out to our enemies in ways of healing and assistance toward developing peaceful communities with a better life for all. We are adamantly opposed to our nation's use of drones to kill and destroy those whom our government has defined as "our threatening enemy". We believe that all methods of forceful violence that bring harm and death to other peoples is terribly wrong, and that lethal drones are just a newer and particularly callous form for humans to inflict violence upon others. We whose names appear below urgently implore our nation's leaders to end the use of lethal drones. This statement is sponsored by the Mennonite Peacemakers. The undersigned have contributed in order that this statement could be published. For further information on Mennonite Peacemakers visit our website at http://peacemaking.us/mennos/ or email mennos@peacemaking.us. 9-11 Ten Years Later: A Service of Remembrance and Prayer will be held at College Community Church MB at 6 p.m. on Sunday, Sept. 11. It will be a time of reflection, lament and prayer. Plan to be part of this time of remembrance of the 9-11 tragedy. Mennonite Peacemakers sponsored a service of lament and advocacy on Sunday evening, March 28, at Mennonite Community Church, Olive and Willow Avenues in Fresno. This service was held to recognize the seventh anniversary of our countryâ€™s most recent military involvement in Iraq. With music, words, prayers and liturgy, we reminded ourselves of the ongoing costs of war and contemplated ways by which we as individuals and as a community can respond. Showing of the New York Times Magazine online story "The shrine down the hall," photos of the bedrooms of American soldiers killed in Iraq by Ashley Gilbertson. May we go in hope. for hope believes all things. for it is the biblical command. for that is Godâ€™s essence. 6:00 PM at Mennonite Brethren Biblical Seminary in the BC Lounge, Chestnut and Butler Avenues, Fresno. Tammy Alexander is the Legislative Associate for Domestic Affairs. Her focus is on immigration, the environment and health care. Prior to joining the MCC Washington Office, Tammy was an intern/volunteer at the General Board of Church and Society of the United Methodist Church and worked for several years as an engineer. She is a graduate of American University, the University of Tennessee Space Institute, and Purdue University. A seasoned healthcare executive with over 35 years experience, Mr. Oswald has held numerous President, CEO and Administrator positions with various hospital systems throughout Maryland, Pennsylvania and California. In 1990, Mr. Oswald saw a need within the Fresno medical community for administrative support to help medical professionals understand and react to an ever-changing healthcare environment. Mr. Oswald has built Avante Health into a comprehensive healthcare consulting and management firm, partnering with medical groups, hospitals, employers and health plans throughout California. Mr. Oswald received his B.A. in Economics from Goshen College in Goshen, Indiana and his Masters in Healthcare Administration and Hospital Administration from George Washington University in Washington, D.C.
On Sunday evening, November 16, 2008, a forum on global warming was held at the Mennonite Brethren Biblical Seminary BC lounge. This Mennonite Peacemaker sponsored event featured a four person panel including Steve Ratzlaff, Michael Kunz, Ken Martens Friesen, and Mary Anne Isaak. Panelists shared biblical reflections, scientific background, practical steps we can take, and opinions on why more hasn't been done already to tackle this issue. Click here for notes from the meeting. We published a full-page ad in the Fresno Bee on October 13, 2007 with our Statement of Conscience and Faith to Our Community and Our Nation. If you have questions or would like to contribute toward its publication, please call 559-618-0218 or email mennos@peacemaking.us. A Service of Prayer and Protest marking the fourth anniversary of the Iraq war was held March 18, 2007 Sponsored by Mennonite Peacemakers. With Scripture, prayer and the arts, we brought to God our lament for the ongoing violence and loss of life--both American and Iraqi, both soldier and citizen. We ask that God will give us strength to resist trusting in violence and will guide us in finding creative ways to engage the powers of our world for peace. We pray for the end of war. 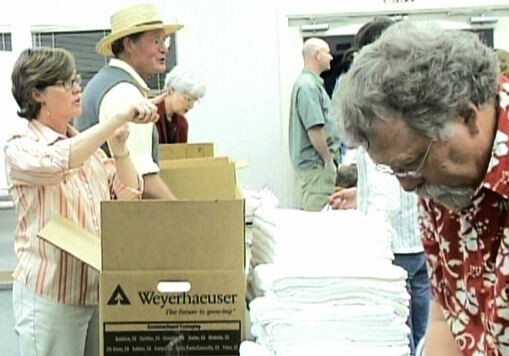 The attendees paid for and put together 40 refugee kits for delivery to Iraq by Mennonite Central Committee. 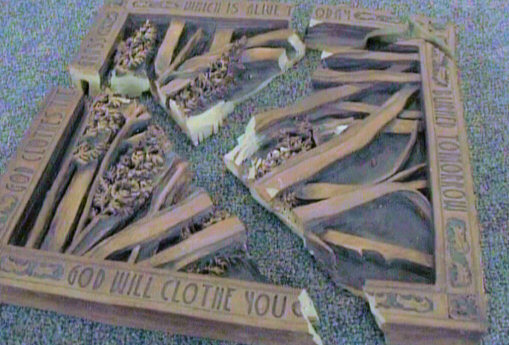 Broken by Lynette Ratzlaff as part of her potter's lament. ©2007 Lynette Ratzlaff. Used by permission. A potter's lament in which a piece of art was broken. Kathy Wiest (Kingsburg MB Church), Clare Ann Ruth-Heffelbower (Mennonite Community Church), and Don Friesen (First Mennonite Church, Reedley) will be speaking at a Middle East Forum on Sunday evening, September 10 out of their recent experiences in Mennonite Central Committee and Christian Peacemaker Teams sponsored trips to Israel/Palestine. This evening, sponsored by Mennonite Peacemakers, will lift out the Christian voice in this part of the world. Join us in the B.C. Lounge at the Mennonite Brethren Biblical Seminary (corner of Chestnut and Butler) at 6:00 p.m. on Sunday September 10. An evening of input and reflection. 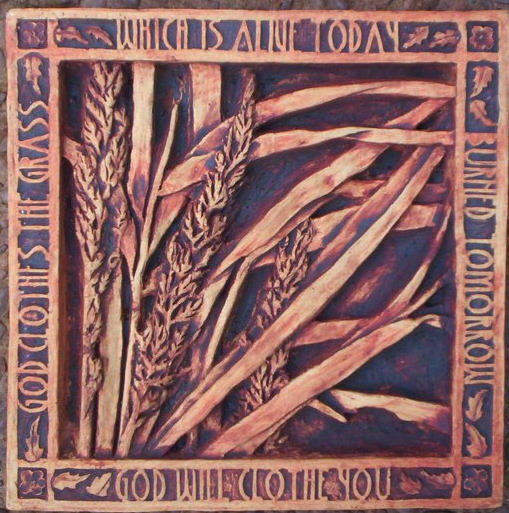 On the first Sunday of Advent, November 28, 2004 an Advent Prayers for Peace service was held at College Community Church (MB) in Clovis, CA. The service was sponsored by Mennonite Peacemakers. The service included prayers, scripture readings, and singing as we meditated on the coming of Christ in the context of the on-going war in Iraq. May 1, 2004 8:30 a.m. - 3:00 p.m. - Mennonite Peacemakers sponsored a plenary session and workshop: "Economics of Peace and Justice." Guest speaker will be Marty Shupack, from the Mennonite Central Committee Washington office. Carmen Pauls Wiens: "Middle East Stories and Economic Justice"
Larry Dunn: "Peace, Justice, and Simplicity"
Nate Fast: "Community Organizing for Economic Justice in Fresno"
Video: Showing of the video "Uprooted: Refugees of the Global Economy"
Steve Ratzlaff: "War Tax Resistance and the Peace Tax Fund"
Pakisa Tshimika: "The World Bank, IMF, and Economic Justice"
Marty Shupack: "Sowing Insecurity: U.S. Global Economic Policies"
Registration is $8.00 for pre-registered adults, $10.00 on the day of the conference. The conference is free for students who pre-register, $5.00 for students registering at the event. Lunch is included. The gathering will be held at Mennonite Community Church, Olive and Willow in Fresno. Registration forms (available here soon) with checks should be sent to College Community Church, 2529 Willow, Clovis, CA 93612 and made payable to College Community Church. Order of service for Service of Prayer and Lament Following the Invasion of Iraq in Adobe PDF or RTF. This order of service was used March 23, 2003 in Fresno. The Reedley Peace Center, which is loosely affiliated with First Mennonite Church, meets every Friday night at 6 p.m. in the Fellowship Hall of First Mennonite Church, 12th and L Streets. If you would like to be on a mailing list to be notified of future events, send a request to dfriesen0@gmail.com. Peace Fresno has presented the Fresno City Council with a resolution for a "Peaceful Solution to the International Dispute with Iraq". Those who are interested may want to make their views known to their council members. 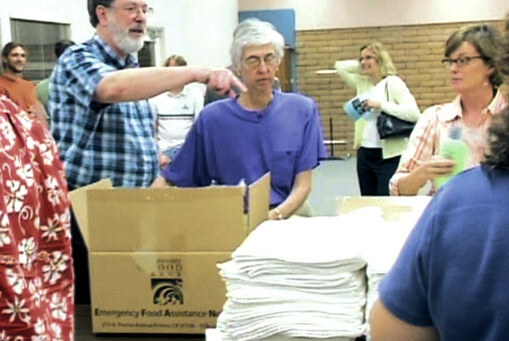 After the events of September 11, 2001 a group of Mennonites interested in active peacemaking began to meet in Fresno California to talk about how a peacemaker responds to the new situation in which we find ourselves. They are from both Mennonite Brethren and Mennonite Church USA congregations. 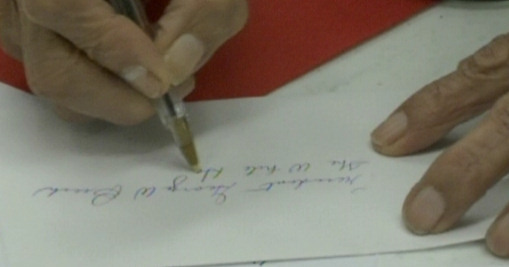 The group's first concrete action was publishing "A Letter to the American People" as a full page advertisement in the Fresno Bee on Martin Luther King, Jr. Day in 2002. 284 Fresno area people signed and paid for the publication.